One of the main keys to prolonging the lifespan of the beautiful look of your treated hair or hair extensions is to keep the shaft from drying. Many processes damage the hair, resulting in the hair drying out at an accelerated rate. We moisturise our skin, so why not the hair? A good moisturising barrier will prolong the look and health of the hair. The best moisture for hair is actually water. Water is good internally and externally for hair. Internally a well-hydrated body means that there is sufficient moisture for hair function, externally it means that the hair can maintain elasticity and suppleness. For moisturising hair, water is the king. However, hair is porous and keeping this moisture in hair is next to impossible without sealing it in. As each of us are unique, our remoisturising and protecting needs differ. A mask is a must if you are noticing signs of dryness and damage or your hair has recently been processed—coloured, permed, straightened. 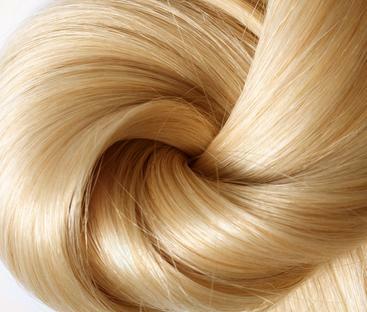 These processes can change the porosity of hair. A mask like RockUrLocks Intense Damage Rescue helps close down the hair cuticle, safeguard colour and notably improve texture. An essential part of any hair repair strategy, hair masks should be used every week, and even more often for damaged hair. Although your hair may look and feel dry and lifeless, chances are that it’s nothing a serious dose of moisture can’t cure. A far cry from your daily conditioner, hair masks like RockUrLocks Moisture Boost Repair come to the rescue. Containing a high proportion of moisturizers and nutrients, they are able to infuse instant hydration deeply into the hair shaft—where the real transformation can occur. Other reasons to use a hair mask include: At the end of a beachy weekend. Before a big event such as a wedding. As a beauty treat after a long week. If you regularly use heat to style your hair (flat iron, blow-dryer). Masks can transform your hair in a matter of minutes, making them a perfect way to put your downtime to use. And if you’re a multi -tasker at heart, put your hair up after a mask application and stay busy while the treatment takes effect.